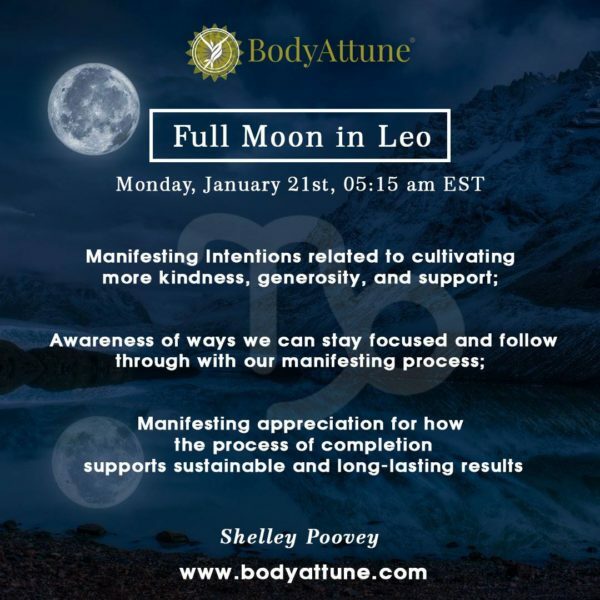 Half hour guided meditation and energy healing for the Full Moon In Leo, Monday, January 21st. Recorded live (video and audio files). Learn about moon sessions. Moon Sessions is an intimate healing circle for sharing intentions, meditating, and aligning with our manifesting potential each new and full moon. Every session is unique and specific for the individual group members. We meet live online bi-monthly. Connect to the group energy. Our circle activated a new year of moon energy, creating a powerful vortex to attract old energy and recharge it for a year ahead of awareness, repletion, and prosperity.